kept this candle burning as a prayer reminder throughout this week. I’ve so enjoyed hosting the Work Stories blog series this fall. At the same time, with only one week left in the series, I’m aware how lacking in socioeconomic and racial diversity the stories represent. I offer the following two excellent photo essays (one journalistic and one artistic) as a supplement. Enjoy! Related: the IG Live video conversation brian and I had about our attempt to be Via Media voters. You can watch it here. IG Screenshot from a lecture we attended last weekend from Dr. Danny Carroll (see resources below). 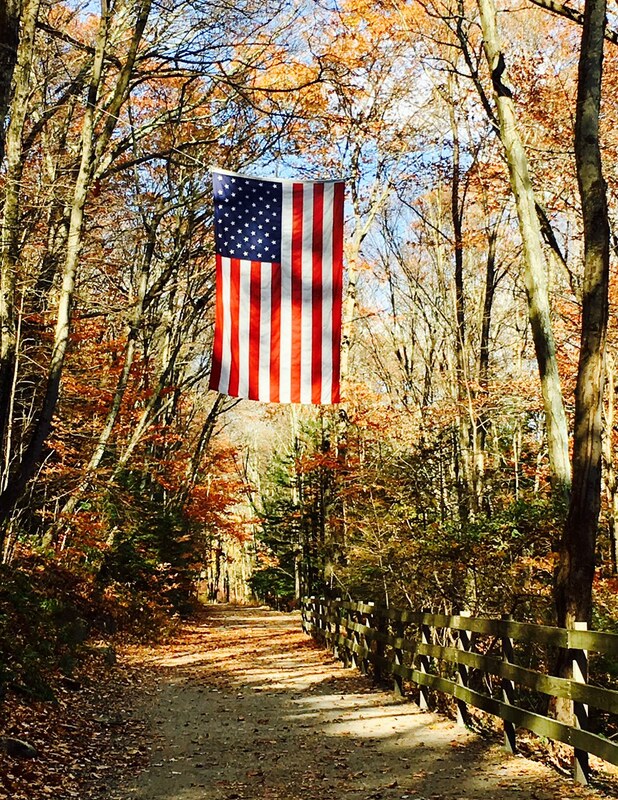 A Veteran’s Day ramble with Brian & Leo on the Pequonnock River Trail in Trumbull, CT.